Award winning cartoonist for the nationally syndicated panel cartoon 'Off the Mark'. Cats would rather you not read this book. How do I know? Right now there is one on my lap trying to prevent me from writing by forcefully pushing his forehead into my hands and chin. Another is trying to distract me by clawing apart the banister. Yet a third is honking up a hairball. I don't know where, exactly, I only know it's on an absorbent surface. It's actually nice seeing them work together. 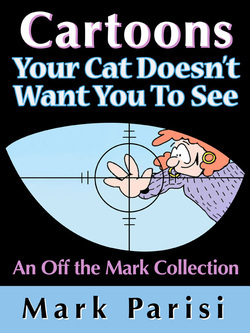 Cats don't want you to see these cartoons because they think they might be presented in an undignified light. They are right. Because cats are funny. Not on purpose, of course, they just can't help themselves. They're even funny in their sleep. These reluctant comedians pick a ridiculous place for a nap while holding an advanced yoga position. If something doesn't move on its own, that's no reason for them not to chase it. Even if something doesn't exist. And do I need to mention cat nip? They would rather you just pat them and not question why they are purring and simultaneously sinking their claws into your flesh. They don't want you to notice that you left something on the counter and now it's on the floor. They don't want you to think of them as funny. But they are. So far, I've owned or co-owned (or been owned by) 10 or so cats. Not all at once, thankfully. I have a strict 3-cat limit. (I think the dog is grateful.) Each one was different and each one was funny. These cats have given me a lot of material to make this book. I don't want them to see it, though. They don't know they are funny and I'm not sure how they'll take it. One of them is in my lap right now and that makes me especially vulnerable. Whether you like cats of not, I hope you find them as funny as I do. Ow! 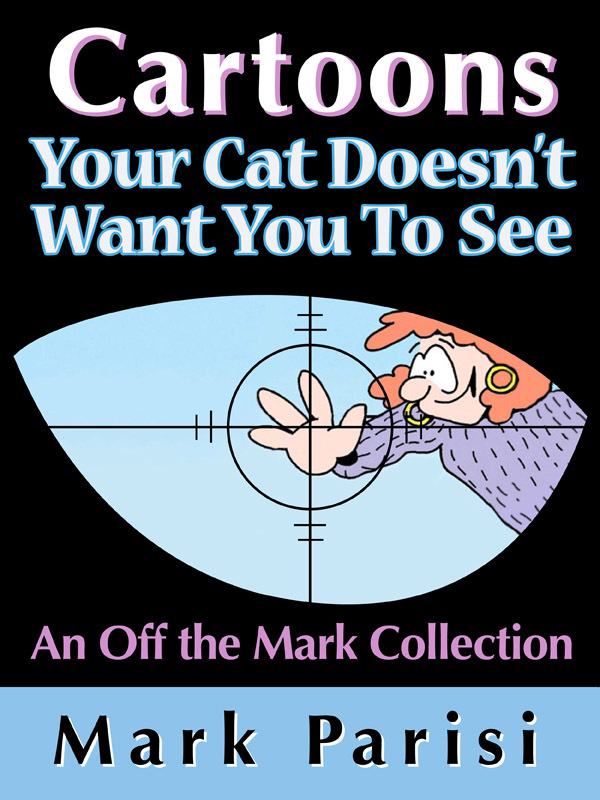 Sample cartoons from the book.